The Silver Auction on Thursday 25th of April will offer an impressive array of silver snuff boxes. Consigned by a private vendor, the collection comprises mostly silver snuff boxes assayed in Birmingham in first half of the 19th century. 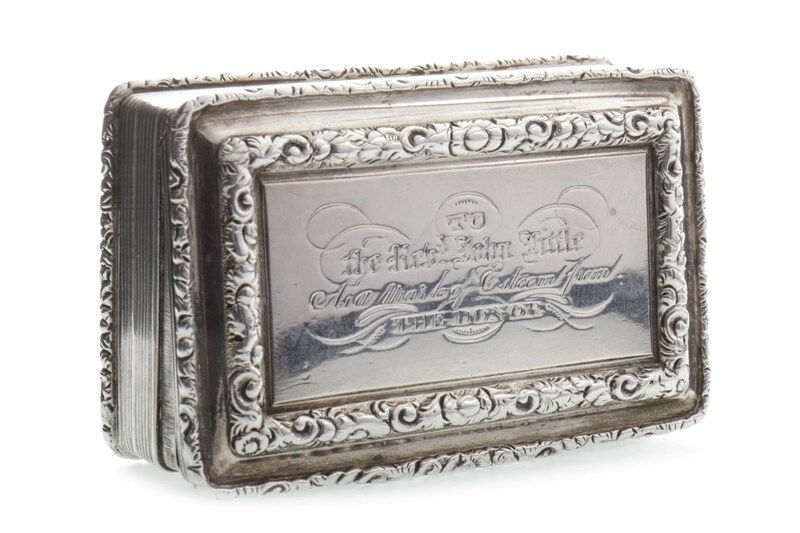 Amongst the group are two snuff boxes by the prolific and silversmith Nathaniel Mills, famous for their well-constructed and detailed silver boxes. Found at lots 838 and 839, the impressively detailed silver boxes are hallmarked for 1830 and 1835. 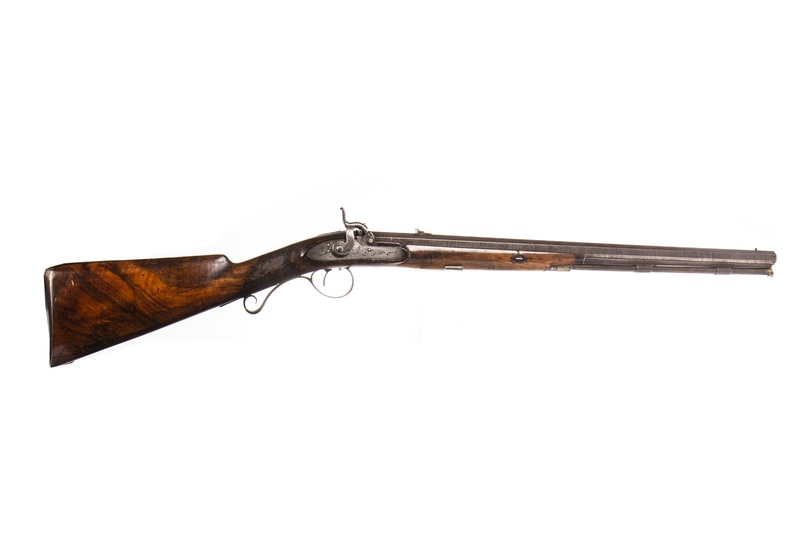 During this time, Mills (son of Nathaniel Mills Elder) was adapting to new techniques such as stamping, casting and engine turning, features which can be identified in lots 838 and 839. Each estimated at £200-250, these sought-after snuff boxes by Mills are sure to attract lots of interest and competition. Another exciting lot can be found at 843 with a coveted ‘castle-top’ silver snuff box. A much later example of a Birmingham snuff box, this lot will certainly be popular with collectors due to the subject matter. 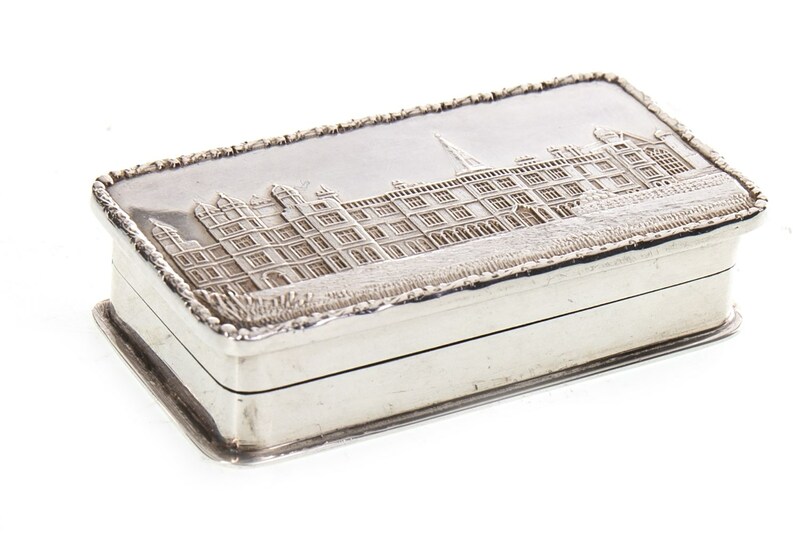 The hinged cover depicts a grand architectural building, a common motif used by earlier silversmiths to create souvenir snuff boxes popular with tourists in the early 19th century and now sought after by collectors. At 5cm long, lot 843 is a slender example of a castle-top, highlighting the delicacy involved in such designs. The snuff boxes, vinaigrettes and card cases produced by Birmingham silversmiths represents a unique and rewarding collector’s field. The group offered in the upcoming Silver Auction at McTear’s offers a fantastic starting point for a collection of silver boxes or an opportunity to grow your collection.